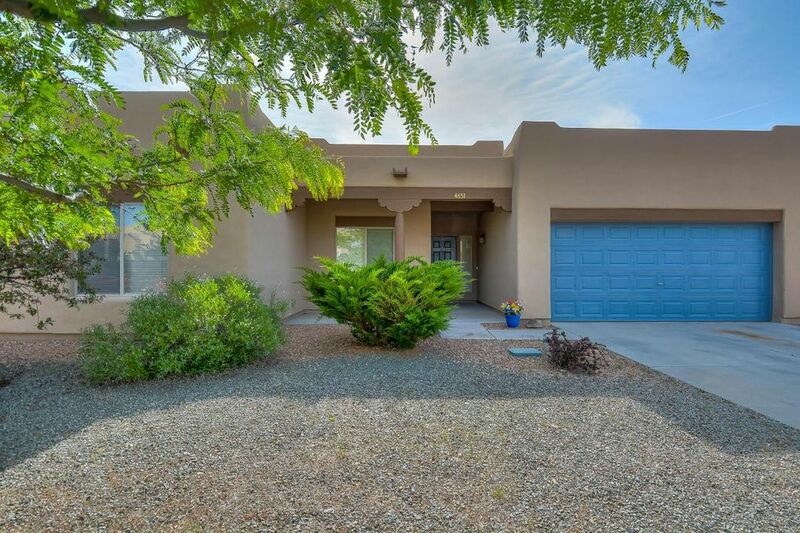 Available for purchase is a wonderful, well maintained, Pueblo styled home with Vigas and several Nichos, along with easy access to roads, leading to Albuquerque, Los Alamos, and others northern or southern New Mexico communities! The open floor plan, provides the space for many lifestyles. 3 bedrooms, 2 full baths, radiant in-floor heating, new Water heater, tile in all the wet areas. The backyard covered patio is perfect for BBQ's. The home borders open space with walking paths, providing extra privacy and many vistas. The master suite is private and has a separate exterior door to the back patio, a perfect spot to unwind at the end of the day or get ready for the day ahead! This house could be yours! Directions: In Santa Fe, from the junction of the Veterans Memorial Hwy and Airport Road, go east on Airport Rd, turn right on to Paseo del Sol W, Turn right on Plaza Central, than left on Solecito loop, home is on the left.